For years, Republican lawmakers and regulators have groused about big corporate fines, arguing that they mostly punish blameless shareholders, not the executives who are responsible for misconduct. Then President Donald Trump tweeted his ire about Wells Fargo & Co. and — at least in the case of the embattled bank — the GOP is singing a different tune. 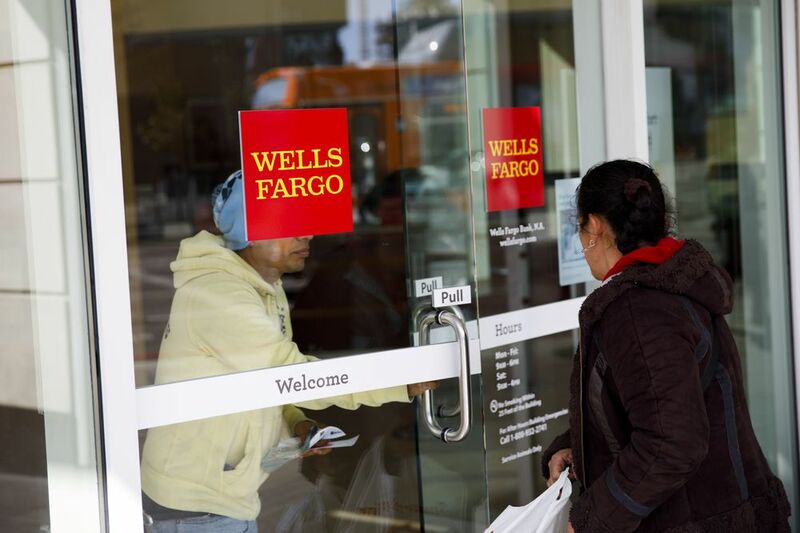 Watchdogs appointed by Trump — including a conservative former congressman — announced Friday that Wells Fargo would pay $1 billion to settle allegations that its auto-lending and mortgage businesses abused consumers. The enforcement actions add to pain borne by the bank’s investors, who’ve endured the worst stock performance among the 20 biggest U.S. lenders since it first ran afoul of regulators over its 2016 phony accounts scandal. Frustration with Wells Fargo is bipartisan, as demonstrated by Trump’s December tweet. The president foreshadowed that fines and penalties against the bank could be “substantially increased.” Trump also signaled a warning to the broader financial industry that there might be more to come: he pledged to dial back regulations, but made clear that punishments would be severe for firms “caught cheating.” The statement followed a news article questioning whether the Consumer Financial Protection Bureau’s new leadership, picked by Trump, would drop an investigation into Wells Fargo. What transpired appears to break from Republican doctrine, and could remind corporations of the potential consequences of being targeted in a presidential tweet. The CFPB and the Office of the Comptroller of the Currency both imposed $500 million fines on Wells Fargo — record sanctions for each watchdog. The regulators are independent agencies, which is meant to insulate them from White House influence. To put the punishments in context: The CFPB’s share is five times as large as its previous record — a $100 million penalty also against Wells Fargo over the millions of accounts its employees set up without customers’ approval. And Friday’s punishment matches the OCC’s previous record, which cracked down on HSBC Holdings Plc for doing business with sanctioned countries and laundering hundreds of millions of dollars for drug cartels. Wells Fargo, which didn’t admit or deny the CFPB and OCC’s allegations, is committed to working with the regulators and trying to do right by its customers, Chief Executive Officer Tim Sloan said in a statement. The CFPB is run by Mick Mulvaney, who does double duty as Trump’s budget director. 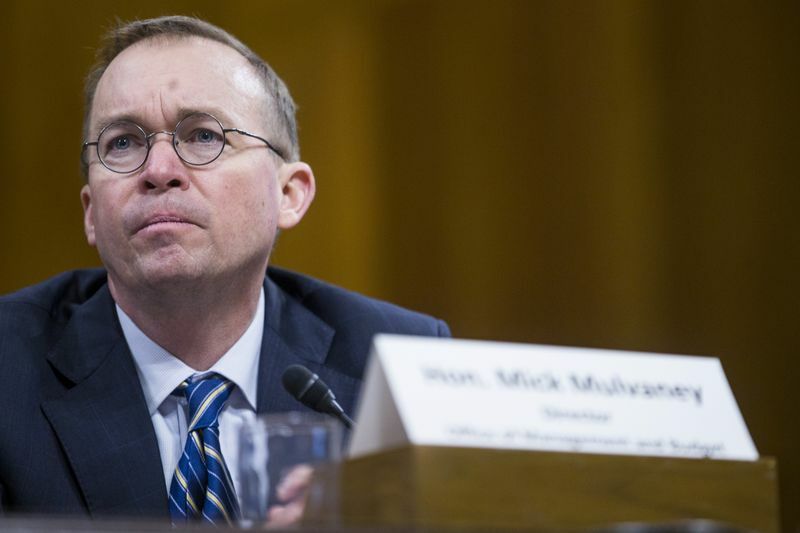 When Mulvaney represented South Carolina in Congress, he routinely joined other Republicans in bashing the CFPB as too tough on financial firms. He’s pledged to ease the agency’s bite since joining it as acting director in November. Now, he’s responsible for the CFPB’s harshest penalty ever. In a Bloomberg Television interview, Mulvaney said he didn’t discuss the planned Wells Fargo enforcement action with Trump. The OCC is led by Joseph Otting, a Washington outsider who previously worked under Treasury Secretary Steven Mnuchin at a California bank. 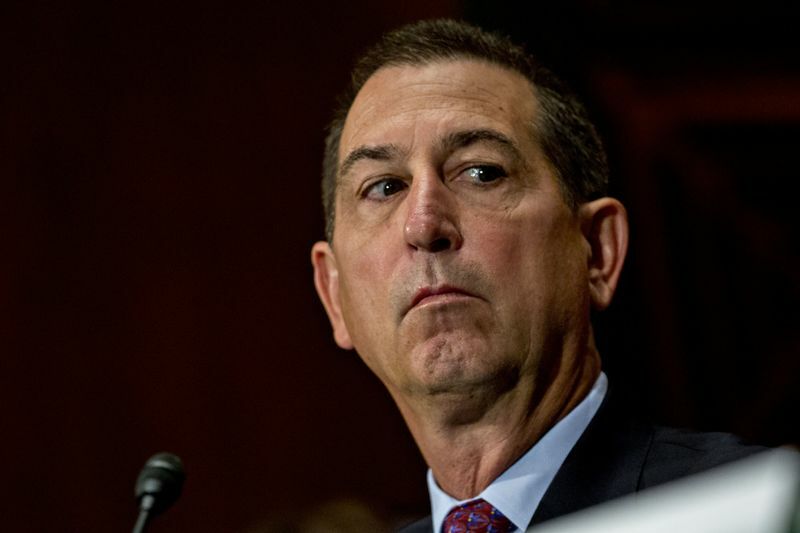 The OCC relied on its established protocols for assessing the Wells Fargo punishment, said Bryan Hubbard, Otting’s spokesman. The regulator has a complex formula for determining how big any given fine will be. To reach into the hundreds of millions of dollars, an enforcement action has to pool together several separate incidents of alleged misconduct. “As an independent regulatory agency, the OCC assessed the facts of the case and determined its penalty using its internal guidelines,” Hubbard said. However, that same system was used when the OCC fined Wells Fargo $35 million in September 2016 for setting up millions of fake accounts. And none of the agency’s rash of enforcement actions stemming from the 2008 financial crisis — including punishments against banks over sales of mortgage-backed securities and illegitimate foreclosures — triggered a $500 million fine. For other companies, the impact of Trump’s tweets has been much more obvious. On April 2, Amazon.com Inc.’s shares dropped after he used the social media platform to say that its deliveries drive retailers out of business and cost the U.S. Postal Service money. Mulvaney said Wells Fargo’s “historic violations” warranted the historic response. While $1 billion is a lot of money, it represents about 18 percent of the profit Wells Fargo reported last quarter. So, it may not have a historic impact on earnings.